Displaying Minifigures and LEGO® builds has always been a little tricky and although there are various official options available, many of them have fallen short of providing a decent display solution. That was until last year, where you may remember we brought you news of a new official display case from LEGO brand partners ROOM Copenhagen. The LEGO NINJAGO Movie Play & Display Case, offered a new type of display case, which had plenty of room to display a full series of Minifigures and even some smaller LEGO sets. However the connection to the NINJAGO Movie meant it wasn’t much use for other LEGO collections. Thankfully ROOM have decided to create some more generic Play & Display Cases. There will be two new cases coming this year, under the LEGO Iconic range. In place of the Sand Green base and NINJAGO Movie-themed background, these new cases will sport red or blue bases and colourful LEGO backgrounds. 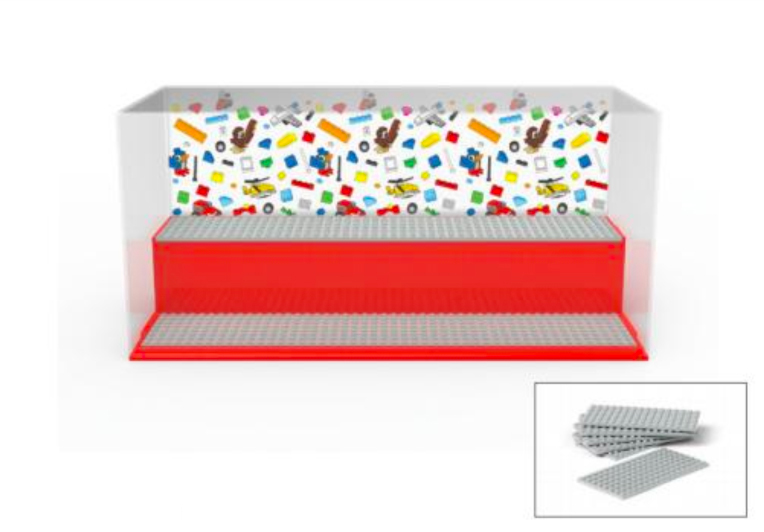 Just like the NINJAGO Play & Display Case, these new ones will also include eight 8×16 grey coloured LEGO plates, along with a clear LEGO branded acyclic cover. 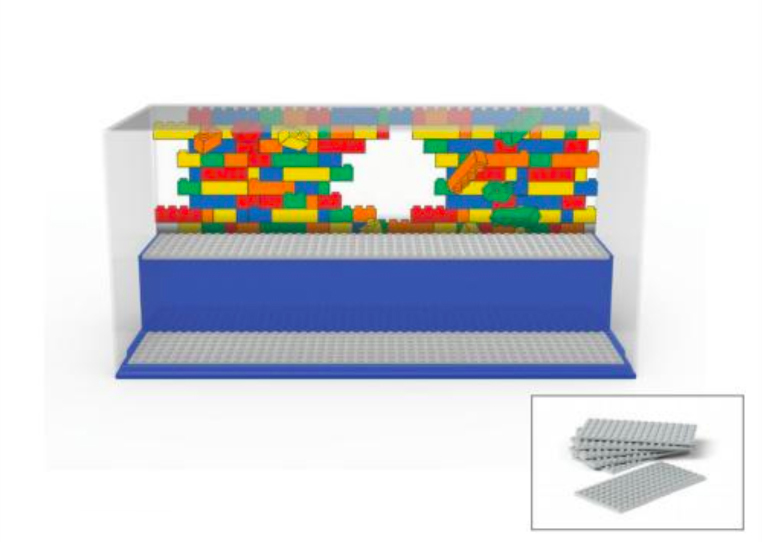 These new LEGO Play & Display Cases will be available later this year. Stay tuned for details of other new products coming from ROOM including new LEGO NINJAGO and Minifigures ranges.